In this recipe, we used mash potatoes and red peppers to create a twist to a mezza dish. Pomegranate molasses and walnuts complement the roasted capsicum in this recipe brilliantly. Combine roasted red peppers, Knorr Lime Seasoning juice, cumin, pomegranate molasses, Knorr Chilli Garlic sauce, mash potato and olive oil and all but 2 of the walnuts in a food processor and purée until mostly smooth. 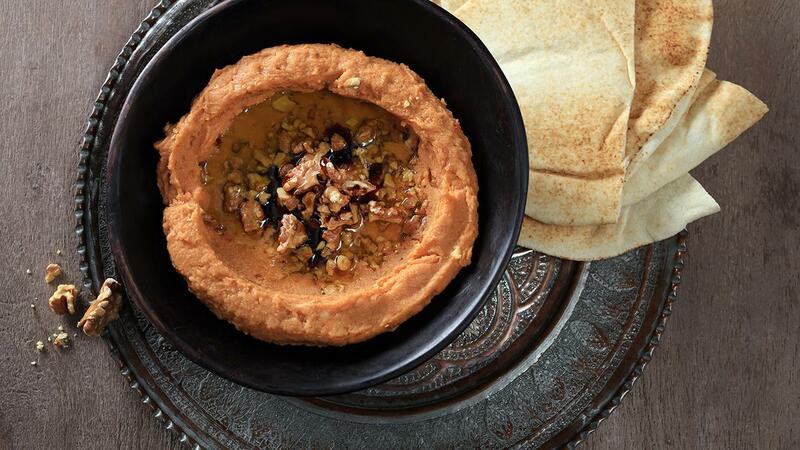 Scrape spread into a bowl and make a well in the center with the back of a spoon, drizzle olive oil and pomegranate molasses. Crush the reserved walnuts between your fingers and sprinkle over the top.